Submitted by Gina Asprocolas on Wed, 08/12/2015 - 14:11. Scholastic Professional supports educators by offering professional services, books, and curricular resources from leading experts in K–12 education. It provides a comprehensive, research-based approach to professional development that expands understanding of language, literacy, and learning as it elevates instruction—preparing students for a lifetime of success. Scholastic Professional supports K–12 educators. Ongoing, relevant professional learning that is tailored for educators is critical. Scholastic supports overall professional growth in delivering high-quality literacy instruction through custom professional learning, coaching, leadership support, and renowned author thought leadership. Scholastic Professional authors are recipients of highly prestigious awards and appointments including President of the National Council Teachers of English (NCTE). Scholastic Professional services, books, and curricular resources are designed to create lasting change and success, and are informed by authors’ pivotal research and extensive experience in classrooms, schools, and districts. The latest books and professional resources from leading author-experts committed to helping all teachers fulfill their professional learning needs. Three veteran teachers Diane Stephens, Jerome C. Harste, and Jean Anne Clyde have joined forces with more than 50 award-winning literacy instructors to uncover the why, what, and how of research-informed reading instruction in this professional resource for K–8 educators. 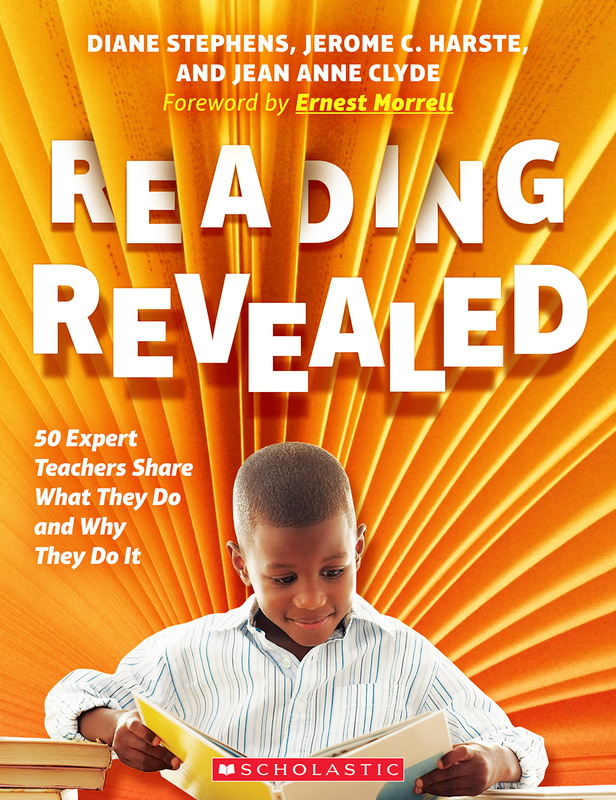 Utilizing their extensive experience and stories from the classroom, the authors outline more than 35 student-focused, classroom-tested, and easy-to-implement instructional and assessment actions, called engagements, centered on the belief that reading is constructing meaning, and designed to strengthen kids’ reading skills and confidence. The book offers access to quick tips, videos, reading recommendations, and additional resources in a four-part framework that includes Knowing Reading, Knowing Readers, Engaging Readers, and Knowing the Language to Use. Learn more. Inspired by their passion for books, The Nerdy Book Club blog co-founders Donalyn Miller and Colby Sharp create a new professional resource for K–8 all about book access. 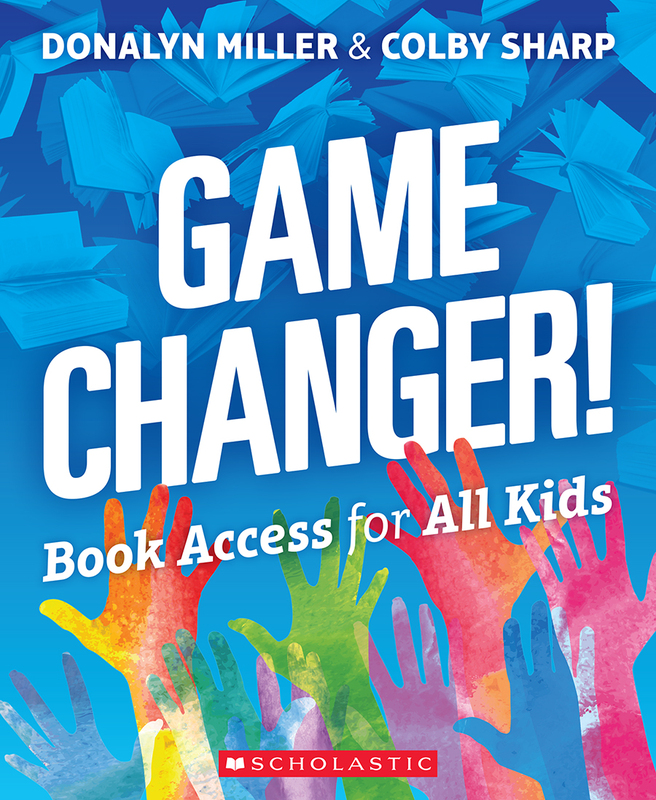 The authors describe how access to a wide variety of texts, choice in what to read, and time in which to read is a “game changer” for the lives of all children, enhancing academic achievement while shaping kids’ understanding of themselves and their world. Each chapter of the book draws from research, highlights the experiences of educators and families who are finding ways to unite kids with books, and delves into practical methods for improving the reading lives of students. Topics covered include turning “book deserts” into “book floods,” supporting librarians, advocating for representation in children’s books, and more. Learn more. 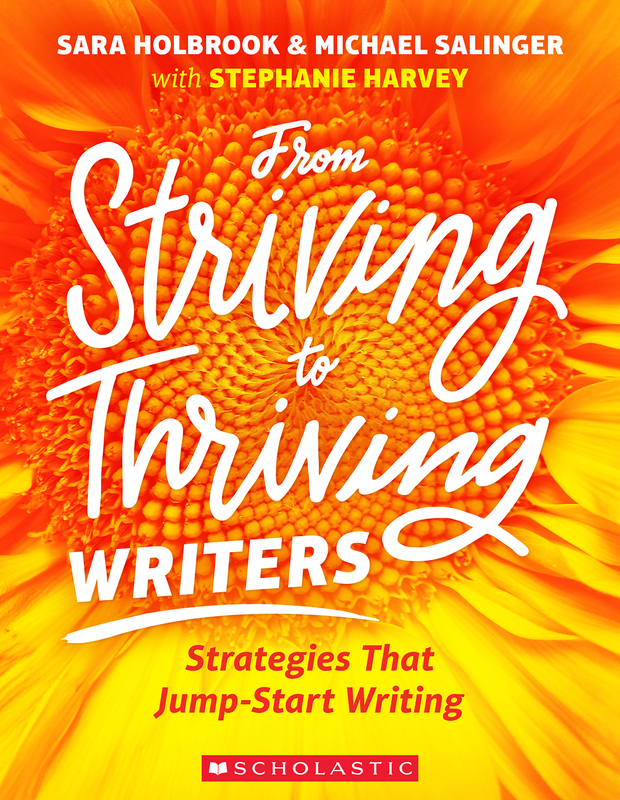 For the second book in the From Striving to Thriving series, literacy specialist and best-selling author Stephanie Harvey teams up with award-winning authors and writing experts Sara Holbrook and Michael Salinger to outline 27 easy-to-teach frameworks that scaffold purposeful K–8 student writing and support effective written communication across genre and disciplines. The step-by-step resource emphasizes the process of co-constructing first as a class and then releasing the students to work together as partners. Each framework draws on reading, discussion, partner research, composition, re-reading, revision, and sharing to help striving writers build content knowledge and communication skills. The frameworks are dynamic, flexible scaffolds that help educators guide students as they harness the power of language to engage in voluminous writing and participate in conversation throughout the process. The frameworks target reading, writing, and speaking standards, and can be incorporated into writing programs across disciplines for students to organize their thoughts. Formative rubrics are also paired with each framework, allowing educators to easily assess students’ skills. Learn more. Renowned K–12 educator and professional development consultant, leading expert in guided reading, and respected author Jan Richardson, Ph.D. collaborates with reading teacher and literacy consultant Ellen Lewis, M.Ed. 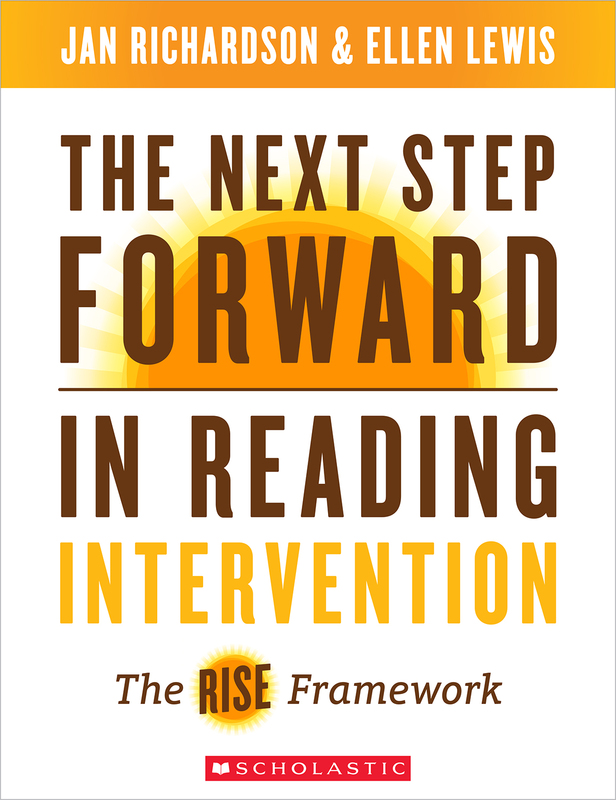 to present the RISE (Reading Intervention for Students to Excel) framework, a step-by-step resource for educators of striving readers in grades 1–8. The framework outlines two intensive, fast, and focused intervention plans that help students construct meaning while reading: RISE for students in grades 1–5 reading at guided reading levels C–N, who need to work on decoding, fluency, phonics, reading comprehension, and writing, and RISE Up for students in grades 3–8 reading at guided reading levels O–Z, who need to strengthen their comprehension strategies. Both plans are based on Richardson’s best-selling The Next Step Forward in Guided Reading and are designed to bolster student literacy skills, proficiency, and the confidence needed to excel as a reader. Learn more.